The Daily Randi: Bite You. I Bite My Nails. I have been Biting My Nails every since I can remember. There have been occasional times when I have Stopped. But, they don’t last very long. I don’t mind the habit. Usually, I am not even aware that I am doing it. I will just hear, “Stop Biting Your Nails,” from Totally Awesome Fiancé. And then I realize I am doing it. 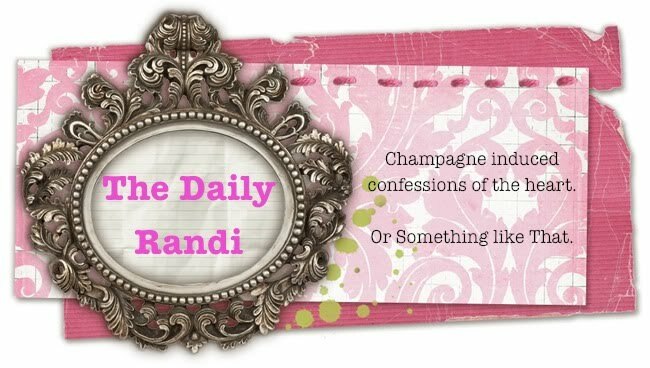 In case you are asking yourself, “Why don’t you just Stop, The Daily Randi?” It isn’t as easy as that. I think I get some pleasure from Biting My Nails. And I figure if it is My Worst Habit, I can live with it. At least I am not Smoking anymore. And Fingernails are Zero Weight Watcher Points. My fingernails are the only things hurt by My Nail Biting. But, I was thinking I should have Fake Tips put on for The Wedding. I am worried about my nails looking Ugly. And they always make you take A Picture With The Bride And Groom’s Hands Wearing Their Rings. It is Real Close-Up and You Will Be Able To See My Nails. I don’t want my nails too look Awful. Except that I keep having This Dream where I get Tips Put On My Nails. But, I Bite Off The Tips right before The Wedding! And then My Nails look Even Worse than before! And The Tips taste Disgusting! And then I am even More Upset About My Nails and My Wedding is happening! And I have A Fake Tips Induced Stomach Ache! I have This Dream every single night! My Awful, Ugly Bitten Off Fingertips? Or An Awful, Ugly Recurring Nightmare. get tips put on. you want your hands looking nice, because, yeah, there will be a lot of focus on them. My fingernails are weak and peely, so I got gel nails, which look very natural and pretty. The benefit of gel nails is that they look very natural. I just had the tips painted. And they didn't scream OMG FAKE NAILS! You can see them here, which is the perfect example of why you want pretty nails: lots of pictures of your hands! The only way I was able to stop biting my nails was getting braces as an adult. I'll pick at them, sometimes (when I'm stressed) but for the most part, I leave 'em alone. If they're raggedy, I agree with the above. If they're just short but clean, you can just have them squared off and go that way. Do not fret!